Free download Clash N Slash Worlds Away PC game. It is an arcade space shooting game. It is sequel of very addictive game with namesake ‘Clash N Slash’. If you are lover of shooting game, you cannot avoid this game. Once you play this game, you will be fall for this game for sure. All the thrills will be done in space as the name shows. It is developed by ENKORD Ltd. Clash N Slash Worlds Away has a lot of variety of modern weapons and futuristic weapons. There are many wow factors in this game. The graphics and sound system is also very good. The space scenes are delight to watch. It is very colorful game. You’ll fell for a while that, you are actually in space and fighting for your planet. 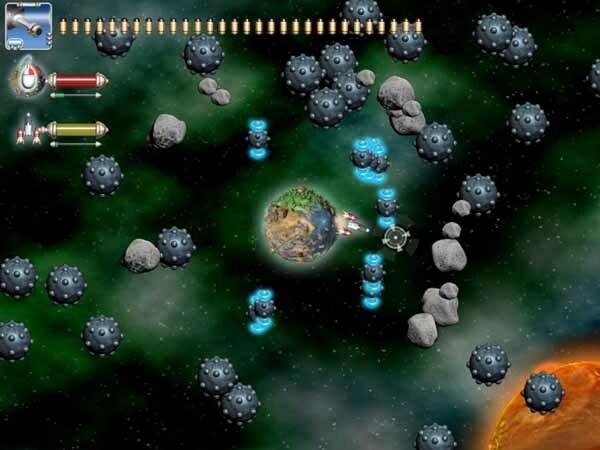 In Clash N Slash Worlds Away game, you have to defend your planet from enemies, they are many in numbers and they want to destroy and occupy your planet. The aliens come with heavy weapons, there are 70 different types of them and they are 12 big bosses which are more powerful than others. Apart from this, you have also a hero fighter with you which is equivalent fighter as your enemies are. He has the abilities and arrogance to kill them all and defeat them. You must save the humanity form your alien foes. They have tons of weapons. Though this one is the demo version, but still it has a lot of levels and fun. When you start the game then go to Adventure mode and save your planet. You will have the lesser power in start but with the passage of time, when you kill your enemies your power level will be up. There will be color balls which are generated by the killing of aliens. Whenever you hit those color balls, there will be a big bang everywhere and within the range of those balls, all the aliens will be vanished. So, you have to fire those color balls very wisely.